Ski the Glades, Tree Skiing is fun, safe! Like everything, skiing is cyclical. The era of restricting skiers to trails has been replaced at some ski areas by a dropping of the ropes and a boundary-to-boundary “ski wherever you like” philosophy. 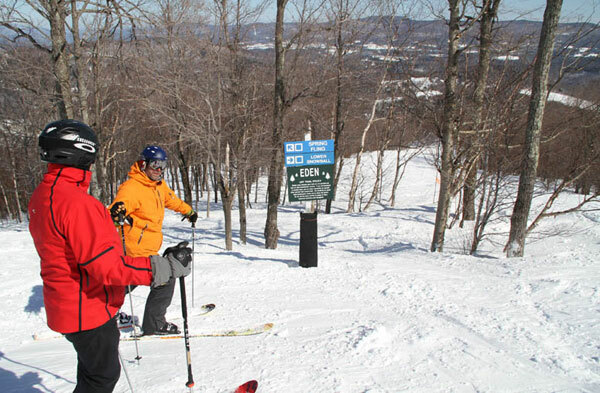 Several New England resorts including Jay Peak, Smugglers’ Notch, Sugarbush,Sugarloaf, Saddleback, and Bretton Woods have cut significant glades and now mark them on their trail maps. 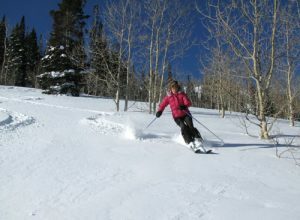 Out west, some of the best glade skiing is at Heavenly, Wolf Creek, Steamboat and The Monashees in Canada. Beware of tree swells, the ground surrounding a tree has softer, warmer snow pockets that you can easily get trapped in. Give trees their space, don’t ski too closely to the tree base. Don’t ski glades too late in the day. As the light fades, and the ski patrol want to sweep and go home, you don’t want to be lost on the mountains in the woods.